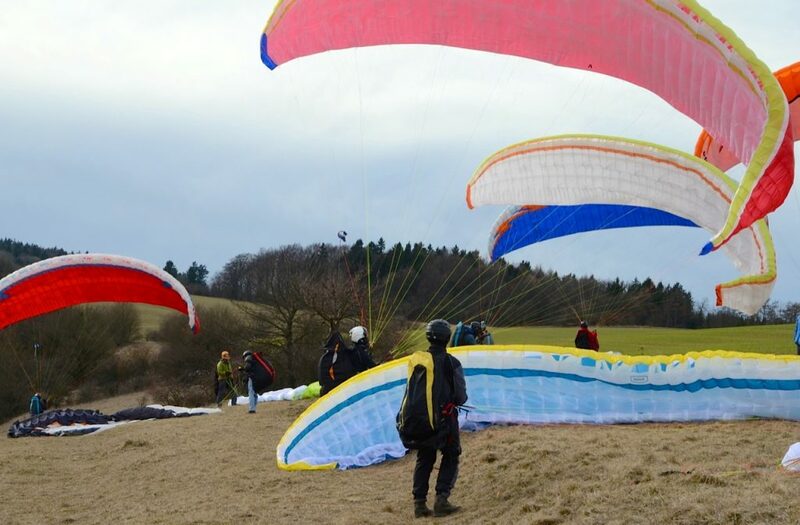 First weekend of March saw the first ever meeting of the newly established NOVA Team Germany on Wasserkuppe, the highest mountain in central Germany. 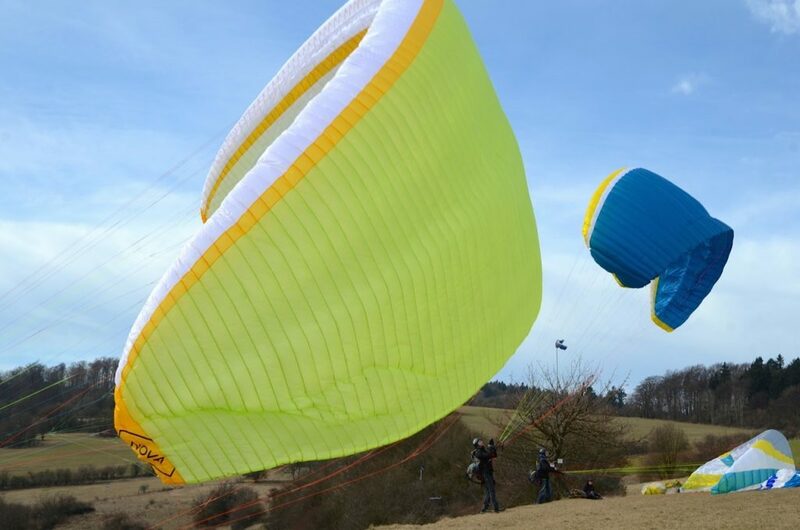 The new flatland team focuses on xc-flying in the non-alpine paragliding spots in Germany. 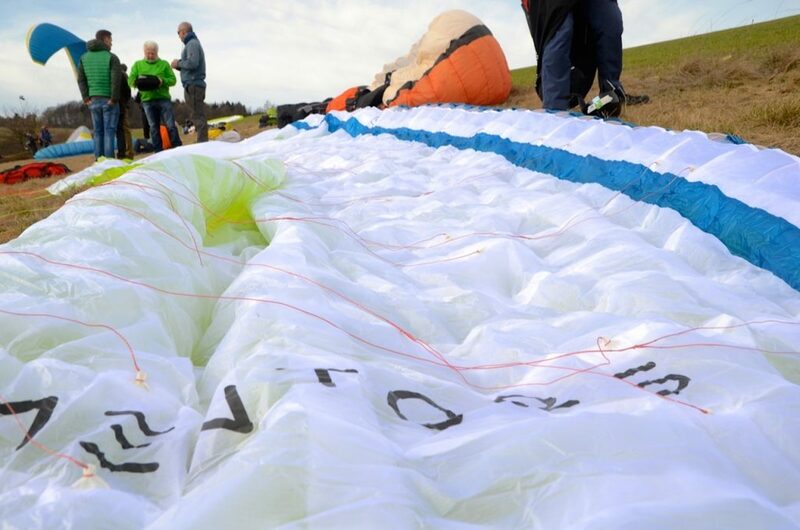 The team includes 15 pilots from all over Germany. 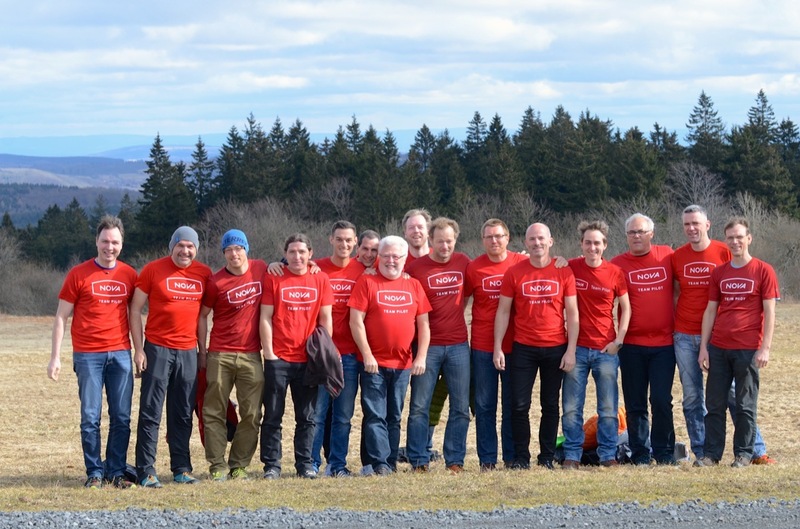 The team photo shows from right to let: Markus Hartman, Mik Broschart (from NOVA in Terfens), Markus Anders, Johannes Jakob, Timm Asprion, Peter Amberg, Rupert Kellnhofer, Ingmar Lautenschläger, Thoralf Hase (Team Captain), Ralf Böhm, Andreas Ziegler, Felix Bässgen, Ivo Schob, Markus Kaup, and Torsten Seelig. 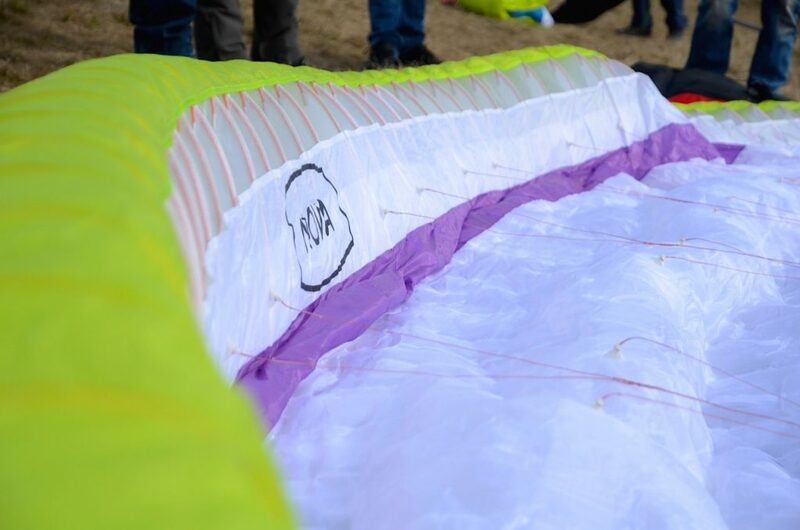 Unfortunately, we could not fly properly due to the weather. 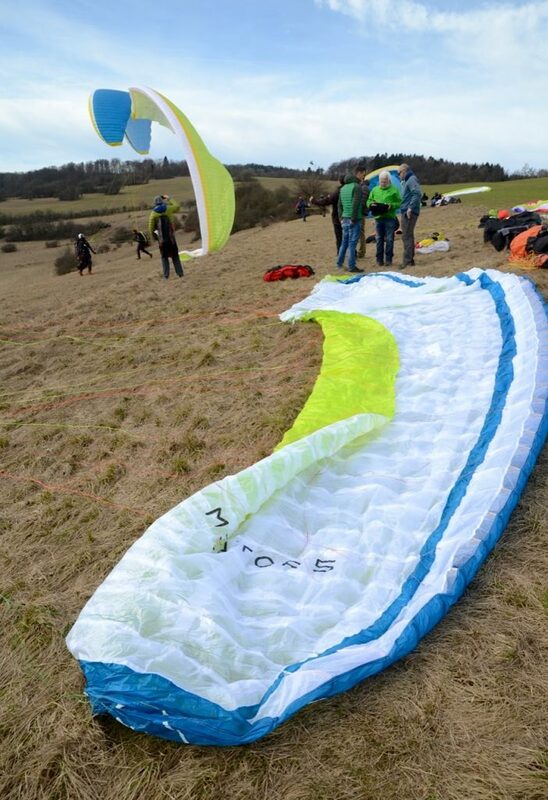 But luckily the weather was good enough to try out the brand-new MENTOR 5, the PHANTOM as well as ION 4 and various older wings. 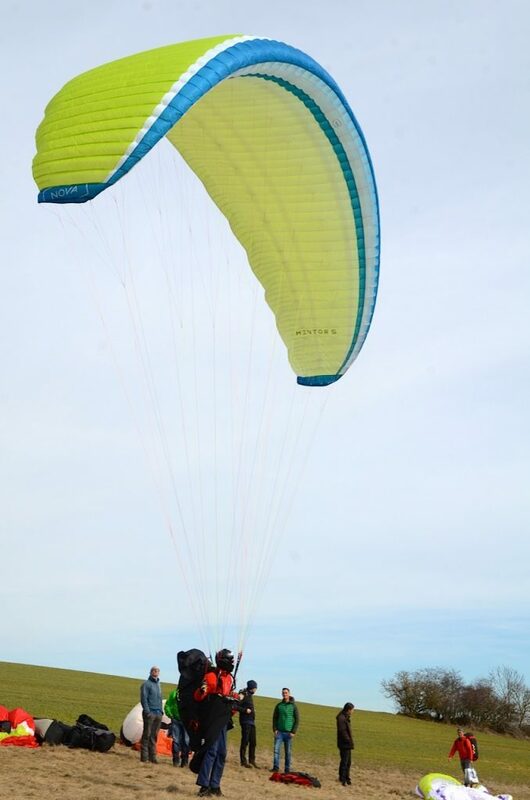 Thanks to the paragliding school „Papilllon“ for the hospitality. We really enjoyed the stay. 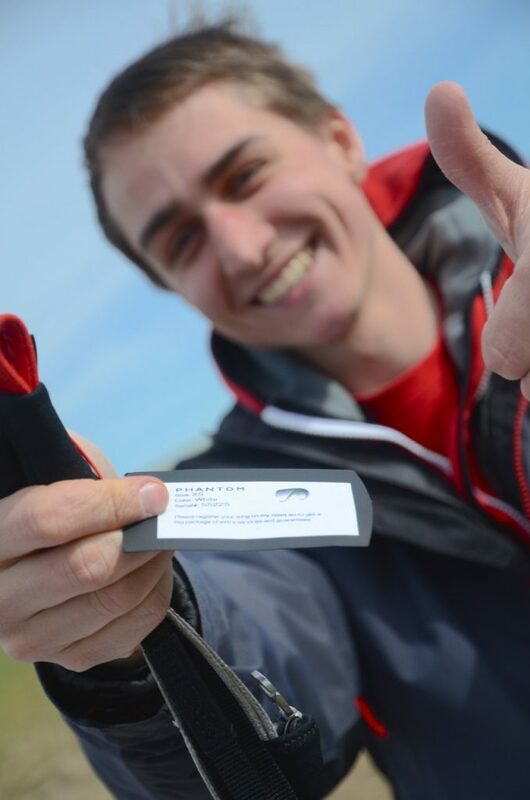 Felix happy to unwrap a virgin PHANTOM. 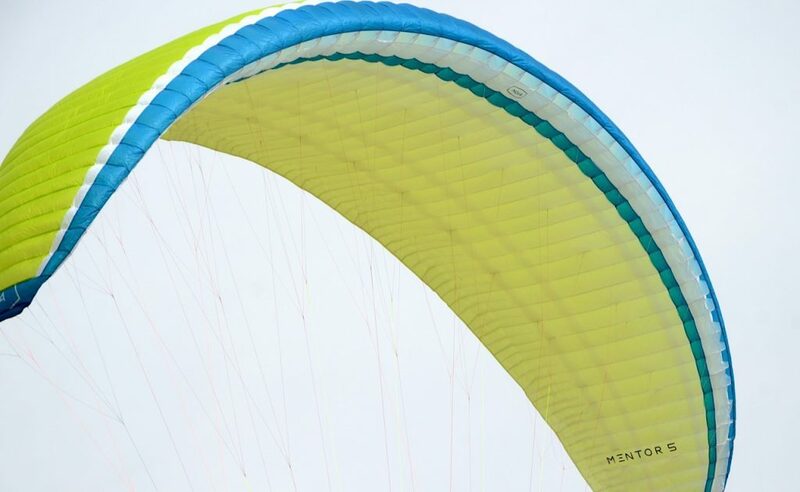 MENTOR 5 – brand-new wing that was never flown until now. Ingmar Lautenschläger playing with a virgin MENTOR 5. Impressive 99 cells on the PHANTOM on the ground. 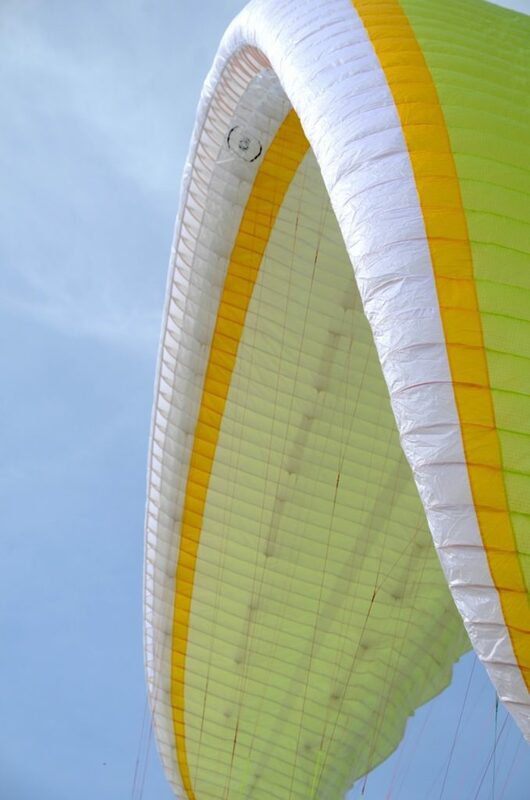 Impressive 99 cells on the PHANTOM when ground-handling. PHANTOM and ION 4 when inlafting. 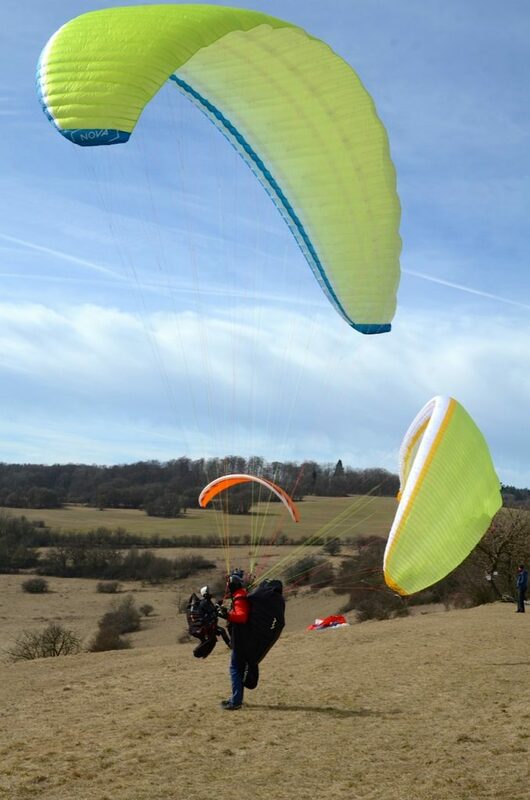 MENTOR 5 front), PHANTOM and TRITON 2 flying in the background. 4 generations of MENTOR in one shot: MENTOR 5 in front, 2 MENTOR 4 light, the blue one is a MENTOR 2 and the red one on the left a MENTOR 3. Having fun out on the hill!